Are you busy setting your New Year’s resolutions? Freeze. 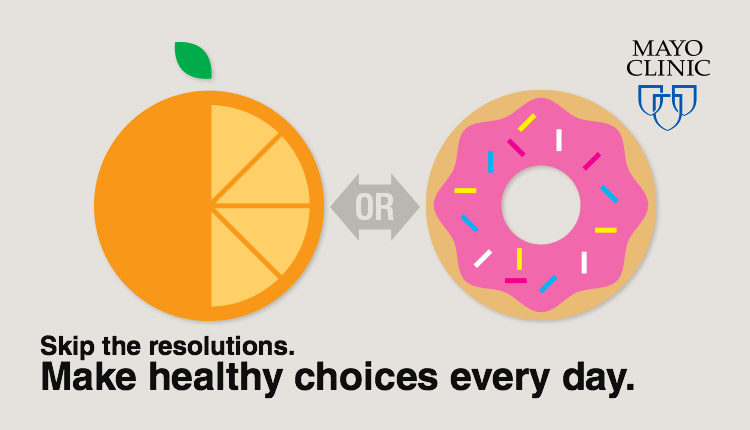 Instead of setting unrealistic goals for the month of January, practice making healthy choices every day. The Mayo Clinic Healthy Living Program is a life-changing experience for many. Receive personal attention from Mayo Clinic experts and gain the knowledge, data and expert guidance needed to succeed from this wellness destination. Cheers to a healthy and happy 2017! Are you busy setting your New Year’s resolutions.